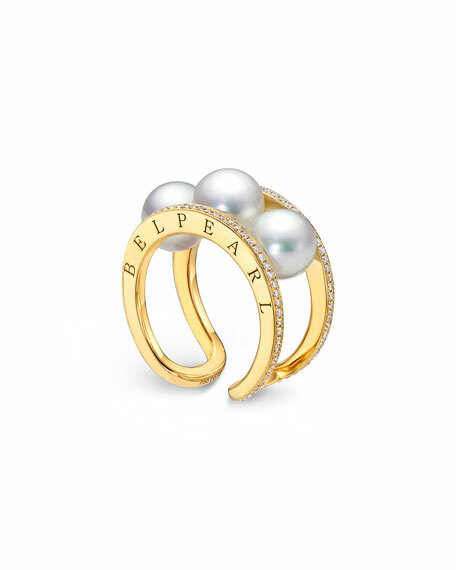 Open band ring from the Kobe Collection by Belpearl. Split-channel band with pavé diamonds. Three naturally colored, saltwater cultured pearls, 7-7.5mm.